It’s time to look at some of the common misconceptions that people have about diabetes. And then, bust those myths! Diabetics do not suffer any serious consequences of having high blood sugar levels. Reality: High blood sugar levels could lead to serious health problems affecting the heart, eyes, kidneys, nerves, and feet. Diabetics are at higher risk of developing blindness, kidney disease, cardiovascular disease, and amputation of limbs due to gangrene. However, with the proper diet, lifestyle, medication and regular health check-ups diabetics can delay and even prevent the onset of these problems. Maintaining blood sugar levels within the acceptable range is the best bet for diabetics to keep complications at bay. Diabetes is caused by eating too much sugar. Reality: It’s false to think that since diabetes means high blood sugar levels, the disease is caused by eating too much sugar. Please don’t ask a diabetic whether they ate too much sugar as a kid! Type 1 diabetes is an autoimmune disease caused by genetics and other as yet unknown factors. It can occur in children as well as adults irrespective of how much sugar they’ve eaten in their lives! Type 2 diabetes can be caused by a combination of genetic and lifestyle factors, again not directly from eating too much sugar. However, it is true that one of the factors that contributes to Type 2 diabetes is being overweight and that could possibly arise from eating too much food, including sugary food. Diabetics only need to take insulin when they are not taking adequate care of their diet and lifestyle. Reality: Type 1 diabetics need to take insulin because they body is unable to produce adequate insulin. It has nothing to do with how well they are taking care of their diet and lifestyle. Type 2 diabetes tends to be a progressive disease. So if diagnosed early, most people can keep their blood glucose at a healthy level with only oral medications (that help cells respond better to the insulin that the body produces). Over time, the body gradually produces less of its own insulin, and eventually oral medications may not be enough to keep blood glucose levels normal. Therefore Type 2 diabetics may need insulin even if they are taking adequate care of their diet and lifestyle. Diabetics following a good diet, exercise, and medication regime will always have their blood sugar levels in control. Reality: Unfortunately, this is not true. With both Type 1 and Type 2 diabetes, it is possible that due to changes in the body with age, or due to illnesses, diabetics can experience irregular blood sugar levels, even if they have been following the recommended diet, exercise, and medication regime. However, most of these irregularities are temporary, as in the case of illnesses, or in the case of changes in the body they can be dealt with after a doctor’s appointment to adjust the dosage of medication. Reality: Diabetics are encouraged to exercise regularly for better blood sugar control and to reduce the risk of cardiovascular diseases. Muscle movement leads to greater sugar uptake by muscle cells and hence lower blood sugar levels. Exercise also helps with weight control (which is important for Type 2 diabetics) and stress management. Diabetics on insulin need to carefully plan their pre-exercise and post-exercise food intake to ensure that they do not suffer from low blood sugar (hypoglycaemia) during or after their exercise session. Diabetics can control their blood sugar levels by avoiding table sugar. Reality: This is an old myth that I hope no one really believes anymore! While it is true that table sugar and other sweeteners such as honey, agave, jaggery, dates, etc will raise blood sugar and must be avoided or consumed only in very small quantities, all foods that contain carbohydrates will be broken down into glucose in the body and will raise blood sugar levels. Grains, beans, nuts, seeds, most vegetables, and dairy products, all contain carbohydrates with the potential to raise blood sugar levels. Diabetics need to regulate the quantity and quality of carbohydrate consumed at each meal in order to better control their blood sugar levels. Diabetics can indulge in fatty food. Reality: While it is true that fats have little immediate effect on blood sugar levels, some fats (saturated fats and trans fats) can raise blood cholesterol levels, increasing the risks of heart attack or stroke. Since diabetics are already at higher risk for cardiovascular disease, it is important that they choose the right kinds of fats and restrict their intake of unhealthy fats. Healthy fats, that is, unsaturated fats such as olive oil, avocados, nuts, and seeds help regulate cholesterol levels and can be consumed in the right quantities by everyone including diabetics. Diabetics can let go of their diet and lifestyle regulations when on holiday or at parties. Reality: It is harder for diabetics to “indulge for the day” when compared to normal people. This is because the goal for successful management of diabetes is a constant regulation of blood sugar levels. This does not mean that diabetics cannot indulge in their favourite foods occasionally. As long as they are regulating the other components of their meal, allowing for smaller portions, and gaps between meals, and getting enough exercise, diabetics can still enjoy their favourite foods. Diabetics can have fruits and fruit juices as safe post-meal desserts. Reality: While fruits are healthy foods containing fibre, vitamins, and minerals, they contain both fructose (metabolised by the liver) and sucrose which can affect blood sugars. This means that they are good options for a mini meal or snack but are not recommended to be had right after a meal unless that meal was lower than usual in carbohydrate content. Fruit juices are not recommended for diabetics, even as a snack, as they tend to have higher sugar content than the fruit itself and no fibre to slow down the uptake of the sugar into the system. 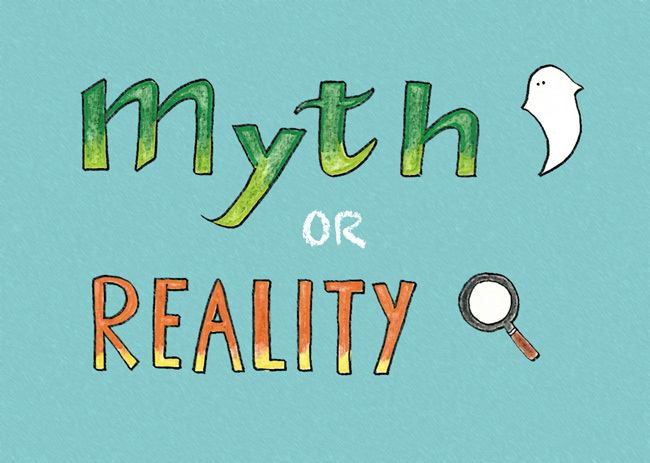 What myths and misconceptions about diabetes have you come across? Time to share your thoughts and help spread awareness! This is a great post. For a long time even i thought that genetics+eating sugary food while growing up contributes to diabetes. Thanks Pavithra! Glad you found it useful! Thanks for this one. You are doing an excellent job with this diabetes series. My goodness.. Are you on antibiotics? Get some rest! Reblogged this on Divya's Indian Cookbook.